Find the lasting solution you’ve been looking for with the Recessed Composite Covers. These manhole covers are made to last. Made to be lightweight and sturdy, these aren’t your average manhole covers. These recessed manhole covers are designed to perfectly accommodate floor finishes. Getting the high-quality, reliable manhole covers you need does not mean that you have to settle for manhole covers that are overly heavy or bulky. These recessed manhole covers are unobtrusive and lightweight. 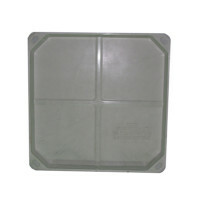 Made with a composite cover and a polypropylene frame, these manhole covers are resistant to rust. Order your own Recessed Composite Covers in Barbados with Fiberpol today!